It's alive! 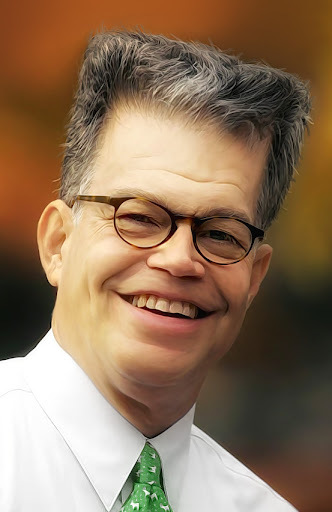 Senator Al Franken's head swells on news of his victory. ST. PAUL, Minn. — Al Franken refused his rival’s calls for an election night concession last November, choosing instead to begin vote counting and courtroom haggling that stretched almost eight months and ultimately landed him a seat in the U.S. Senate. Franken’s victory over Republican Norm Coleman gives Democrats 60 Senate seats, the critical number needed to overcome Republican filibusters. When Franken is seated, which could come as early as next week, his party will have a majority not reached on either side of the aisle in some three decades. Tehran, Iran - A judicial recount in Iran has had a very improbable outcome. Minnesota State Senate hopeful, Al Franken, has posted an overwhelming majority over incumbent President Mahmoody Ima Dinnerjacket. Said Franken, "Oh my Allah! I didn't even know I was in the running." The Iranian election results have been plagued by protests, violence and murder. President Ima Dinnerjacket had thought the main contender for his job was Reformist candidate Mir-Hossein Mousavi. The final outcome, with Al Franken assuming the presidency, came as a bit of a shock.